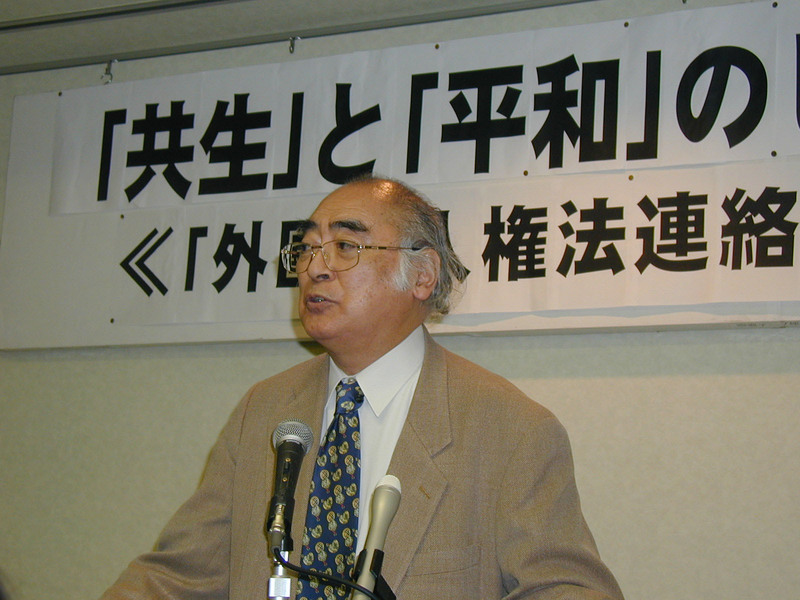 This homepage is a research library of Kinhide Mamasakoji, an international political scientist. Please use it for the latest information of Kinhide Mamasakoji and past material search. For the current situation, please visit official facebook or personal facebook . IMADR, Matsumoto Jiichiro Memorial House, 1-7-1, Irifune, Toyo. 2018/06/06/: "World Peace 7" show off. "Ask for the resignation of the Abe cabinet" is expressed in this site. "On the Occasion of the 30th Anniversary of IMADR" is expressed in this site. 2017/10/18/: "World Peace 7" show off. As member of "World Peace 7", The appeal to "This month's words:Do not prepare for the Second Korean War, forgetting the Armistice Agreement of the Korean War" is expressed. 2017/6/10/: "World Peace 7" show off. As member of "World Peace 7", The appeal to "The Parliament be on the point of dying" is expressed. 2017/4/24/:"World Peace 7" show off. As member of "World Peace 7", The appeal to " We oppose 'Preliminary crimes such as terrorism'." is expressed. For this website please contact here. Materials on this page are released under the permission of Kinhide Mamasakoji himself or stakeholders, and copyright belongs to Kinhide Mamasakoji or their stakeholders.